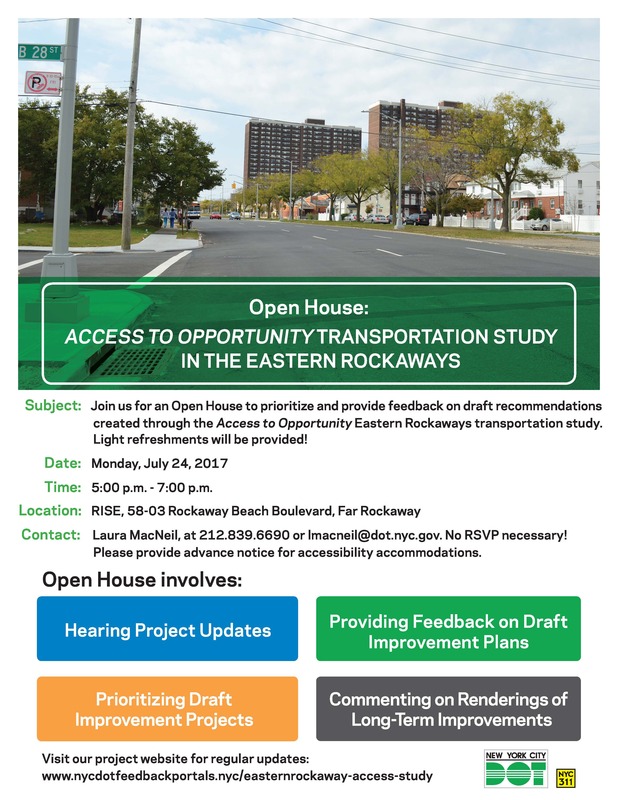 Keep the evening of Monday, July 24th free in order to prioritize and provide feedback on improvement plans and long-term visions created through the Access to Opportunity Eastern Rockaways transportation study -- food will be provided! The event will be held 5-7 pm on Monday July 24th at RISE, 58-03 Rockaway Beach Boulevard, Far Rockaway. You'll be able to hear project updates, provide feedback on draft improvement plans, prioritize improvement projects, and comment on renderings of long-term improvements. Stay tuned for more details.